People living without energy are denied the chance to work their way out of poverty. This truth lies at the heart of the Poor People’s Energy Outlook (PPEO) 2012, which analyses the different types of energy services needed by poor people to earn a living. Energy access for livelihoods increases productivity, reduces women's burdens and positively impacts human wellbeing. From electricity for powering village kiosks to energy for irrigation, milling, threshing, and powering important ICT services, the productive uses of energy are vital to improved livelihoods and broader human development. By supporting local economic development, energy access also plays a key role in helping communities to build resilience and recover from climate-induced shocks. 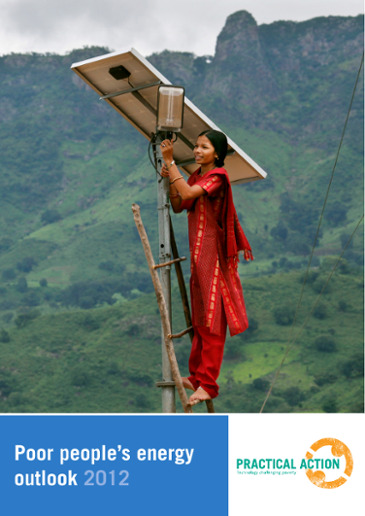 The PPEO 2010 introduced the idea of Total Energy Access, establishing a set of indicators and minimum standards for measuring progress towards this. 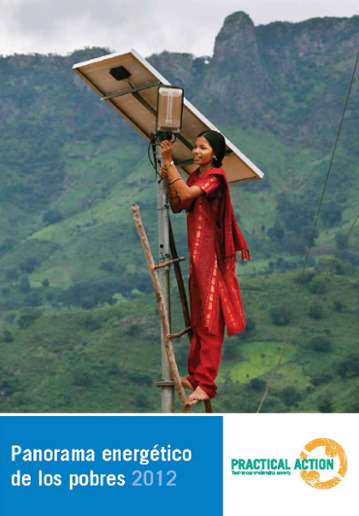 Following consultation with peers in the energy access sector, the PPEO 2012 builds upon and refines these standards to distinguish between energy for the household, energy for enterprises, and energy for community services in order to better understand these differing, but often overlapping, needs. The PPEO 2012 argues that where poor people have the sustainable energy access needed to grow enterprises and earn a living, it becomes possible to escape the vicious cycle of poverty. A range of people and organisations have a role to play in enabling poor people to have greater access to energy services and appliances. In order to measure and understand how these different stakeholders fit together, Practical Action proposes using an Energy Access Ecosystems Index. The Index was designed to help understand the factors that influence change such as policy and finance, and proposes a set of 12 indicators that make it possible to measure any given country's progress towards Total Energy Access. When people have the sustainable energy access needed to grow enterprise activities, it becomes possible to escape the vicious cycle of poverty. Energy access alone does not guarantee an improved livelihood. Reliability, quality, and affordability of energy supplies are critical success factors to enterprises. Governments should set national targets for universal energy access by 2030 and formulate and implement plans to deliver these targets, recognising the Total Energy Access minimum standards. Donors must increase investment in energy access, targeting stimulation of the ecosystem to deliver energy services to the poor at household, community and enterprise levels. Civil society and the private sector have an important role to play in raising awareness of the benefits of energy access, and targeting base-of-the-pyramid markets with activities and investment.